I might be getting a Tiger 800 soon. To XC or not to XC, that is the question. I think I would rarely take it off road, though I might be tempted by the odd easy lane. Is the non-XC for me? I bought a Tiger XC with the intention of doing some green lanes on it but I quickly discovered that unless you have true knobblies then going on green lanes on anything other than hard packed surfaces is a very scary proposition. I have 60/40 tires on it now which doesn’t affect the road handling very much but is ace fun on easy lanes and forest tracks. I don’t think there is much between them on the road unless you are a quick road rider. So my advice is buy an XC and then at least you have the choice so long as the tires are suitable, but don’t be tempted to go on lanes that have the potential to cause you to drop the bike. Unlike trail bikes with plastic tanks and guards it can be an expensive day out if you drop it. I will be leading some Adventure Bike friendly runs soon from south Manchester so if you get one give me a shout and come along. Sounds like the Tiger 800s are thirsty buggers, only 50mpg on a good day? And less than 200 miles to a tank? Might look into the XT660Z, or F800GSA. Or the V-Strom, but it's a bit bland. Did a 199 mile trip at the weekend with a mix of roads. Filled up at the start, then filled up again at the end and it took 16.47 litres which works out at an average of 55mpg. That seems pretty good to me for a triple. 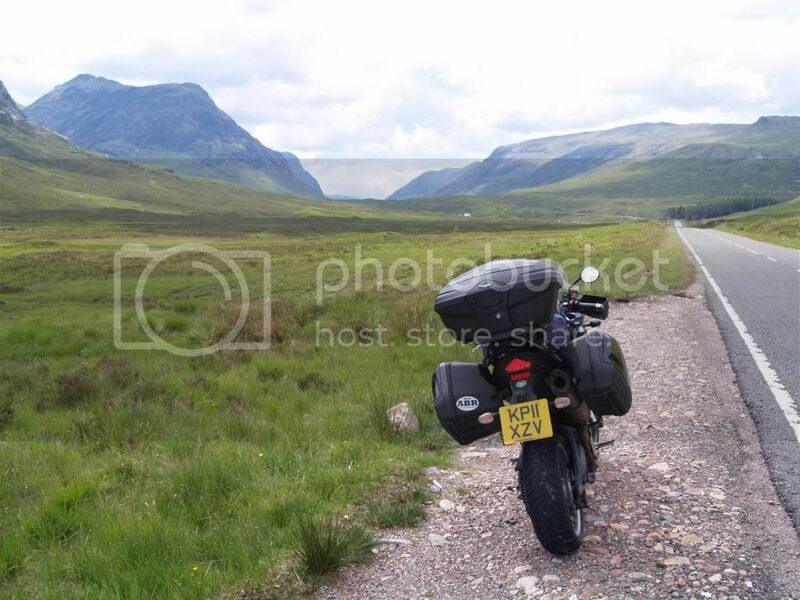 A mate did the same trip on his BMW F800gs and averaged 65mpg so the day out cost me £3.57 more.